The line between pain and ecstasy on a computer for music making can often boil down to some key elements. One commonly on that short list is getting the sound you might from a studio. Another is making all your inputs and outputs work in your interface. Universal Audio is one of a handful of vendors that aims to bridge both of those gaps in a single product, with devices that are audio interfaces as well as DSP platforms for hosting high-quality effects. And UA are starting out 2015 with a fairly big benchmark for the company in that software/hardware integration. That’s the good news. The bad news is, you need a Mac, and the latest-generation hardware, to come along for the ride with some of the new goodies. So, let’s take a look both at what’s new and what’s required to get the latest-and-greatest stuff – as well as where that leaves people with older hardware. UA has been a name in hardware DSP for quite some time. Recently, though, they’ve pushed further into a wider range of instrument choices, more hardware that makes sense for a solo producer and instrumentalist, and more fluid hardware/computer integration. 1. Apollo Expanded. For owners of UA’s Apollo audio interface hardware, you can now use all that extra Thunderbolt bandwidth and speed to mix and match gear. Use one interface in the studio, and another in the road. Use a smaller Twin for your monitors and extra DSP muscle, and a bigger interface for everything else. Or add ins and outs and DSP with up to six devices. 2. Flex Driver. Part of the Apollo Expanded idea, but I think worth a separate mention, is a new Apple Core Audio driver that lets you name, save, and share presets when you swap DAWs or hardware setups. This obviously makes the previous scenarios still more practical. 4. 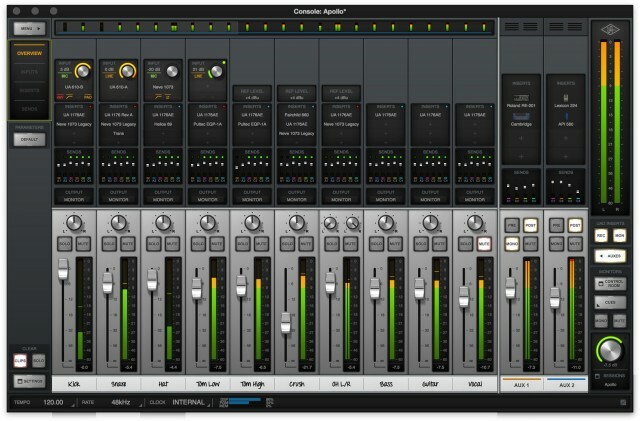 UAD 8.0. All the UA software is now fully compatible with OS X 10.10 (though to be fair, I’ve had reasonable success with the previous version since upgrading months ago). You also get new categories and other features. 5. And more plug-ins covering a wider range. Now the goodies – the fruits of collaborations with some big names. 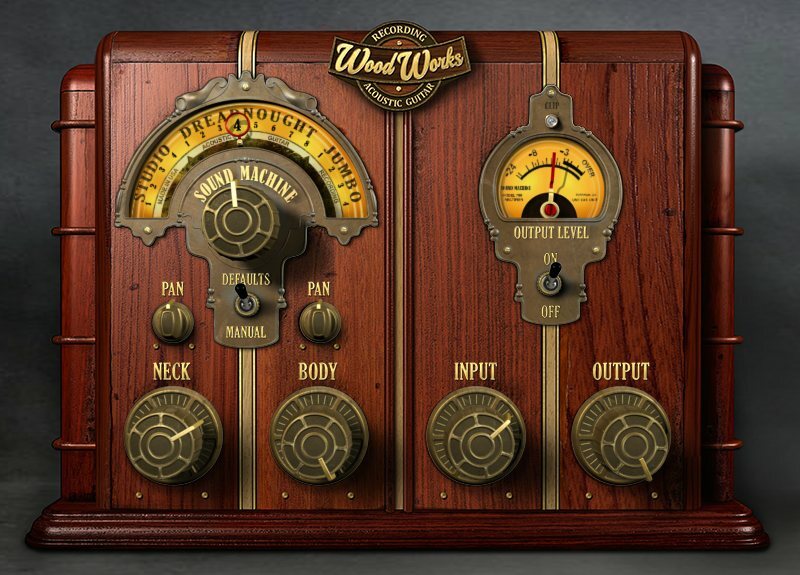 You get “Wood Works” plug-ins for acoustic guitars. Distortion (hello Electro-Harmonix, Ibanez vintage stomps). Brainworx guitar amps, modeled on the classic Friedman amps. And Auto-Tune (yes, that Auto-Tune). In addition to the Apollo line, which covers both audio interfacing and DSP, you can also buy your DSP brainpower on its own in the form of the new Satellite Thunderbolt line. The hardware was introduced late last year, but is further enabled by this month’s shipping software updates I still prefer the Apollo myself, because I think it’s a great audio interface on its own, but the Satellite will likely appeal to some studio rigs, especially if they have their own audio I/O already. The UA platform at first meant largely reproductions of vintage studio equipment – compressors, EQs, channel strips, plate reverbs, and so on. Now, when I first saw the soloist-oriented Apollo Twin, I immediately asked when we might see stuff for, say, guitarists. There were already some great Softube options, but it seemed the time was ripe for more. Well, here we go, with some fairly interesting new goodies on offer. Sound Machine Wood Works. First up, acoustic guitarists – long ignored in favor of amps and such for electrics – finally get their due. The Wood Works plug-in claims to make acoustic guitar piezos sound like they’ve been studio miked. US$299. Distortion Essentials. Now, UA turns its obsessive compulsive modeling skills to stomp boxes, with the Pro Co Rat, Electro-Harmonix Big Muff Pi, and Ibanez Tube Screamer TS808 all getting digital reproductions. I love using this sort of stuff in production even when guitarists are nowhere in sight, and I think there’s room for better models, so yes, I’ll be testing these to see if they’re up to snuff. US$299. Friedman Amps by Brainworx. We knew Brainworx was working with Universal, and now we get to see the result: DS40 and BE100 amps from Friedman get their own emulation, plus a noise gate, EQ filter controls, and host-syncable lo-fi delay. 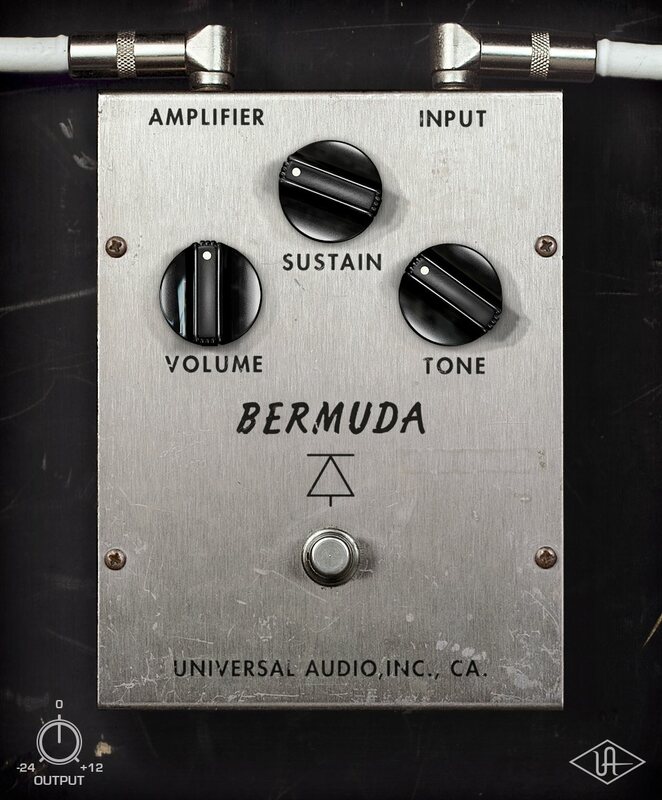 Interested in this one, too, especially as it’s been surprisingly quiet on the guitar emulation front lately. 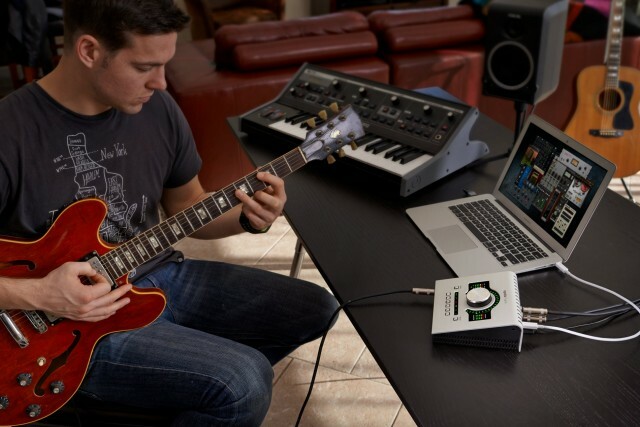 (Yeah, Native Instruments, will we ever see Guitar Kontrol? Erm, Gitarre Kontrol?) US$249. There’s so much new in the Console, it’s worth mentioning separately. More monitoring: new Alternate Monitors, Control Room, headphone cue options. Multiple level undo/redo for plug-in assignments, parameters. I’ve used this stuff live a lot with Apollo; it’s really nice to see. Clarified/correcter here with additional detail after consulting Universal Audio on the performance differences. This is a very big deal. Using one UA audio interface alone, you are already able to achieve lower latency performance. Then, adding effect plug-ins, you take advantage of the DSP hardware onboard. As some readers are already noting in comments, yes, UA’s platform requires lock-in – those effects don’t work without the connected hardware. But at last, you reap some benefit from that: you can add all of this processing without suffering a lot of added latency. So, if you want to sing or play an instrument or add effects to a synth, you can layer signal processing live as you track – or even live onstage. And that’s with just one box. The reason UA is getting so loud about Apollo Extended is that the added bandwidth also makes it practical to combine multiple interfaces. It might not sound like it changes how you work, but it does. I have gotten way more addicted to my Apollo Twin than I ever imagined, and the reason is reliable low-latency performance of UA effects on the interface. Suddenly, those guitar amps and stompboxes and plate reverbs and compressors and so on get a lot more interesting. And that’s why the AutoTune Live news is relevant, too. AutoTune isn’t news. AutoTune the news … isn’t news. Now, with AutoTune running on an Apollo, you can finally do what the vocal enhancer did to the Party Posse on The Simpsons. You just switch it on and it works – in the studio or live onstage. Not everyone is going to be happy at the moment. First, Universal Audio early adopters who went FireWire rather than Thunderbolt run into some real limitations. I’ve run into this issue myself, personally, in the studio. FireWire users will eventually get the welcome new console, but not until an estimated ship date of fall. And they’ll need to update to Thunderbolt to get Apollo Expanded. They also miss out on software, too. UA right now ships one integrated installer with all the plug-ins and drivers. They’ve explained to CDM that the reasoning is that all the software and drivers have to be in sync. But that means a very big unified install. That’s all fine and well, until you discover that you can’t unplug a Thunderbolt Apollo and plug in a FireWire Apollo – you have to reinstall the entire software package. Windows users are generally left out in the cold, too, and I’m seeing some folks upset about that. Meanwhile, there’s reason to see Universal Audio as still in a sort of studio mindset. You don’t get any MIDI control of the Console and its plug-ins. That seems somewhat essential given the sales pitch of a lot of this stuff would be, say, playing a guitar into your Apollo Twin and tracking live. That’s not a time you want to be fumbling for a mouse: you want MIDI faders and foot pedals. UA acknowledges this issue; we’ll see if they can ship that soon. If you do have a recent Mac and the scratch to invest in the Thunderbolt hardware and a reasonable collection of UA plug-ins, though, I think it’s a uniquely robust platform. Consider, too, that a modest laptop is now perfectly capable of running even the most dense multichannel project. We’re now well past the point where the laptop is the cheapest part of the equation. If you’ve got a Thunderbolt-based Apollo system, of course, you get all of these benefits right away. Have realtime UAD Processing through Console 1.0, with an upgrade to Console 2.0 coming Fall 2015. You have access to all the latest UAD Powered Plug-Ins for mixing and mastering — no realtime processing. I’ll be talking about my experience in production with the Apollo and its effects soon, as well as test driving some of this new stuff. If you have questions you’d like me to investigate or to pass along to UA, let us know.